The Packers Offensively, put on a show vs the Rams. New aquired running back Jalen Richard Had a huge game revamping the packers run game. 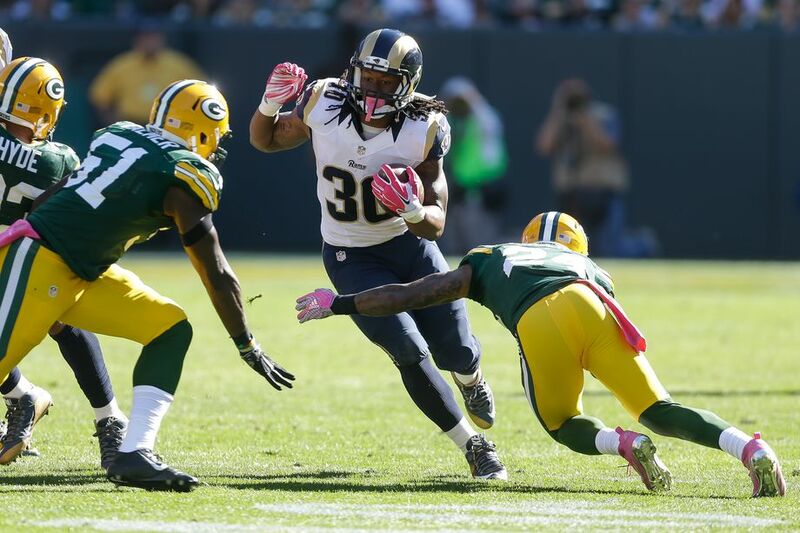 Richard had 22 carrys which got him 104 yards which put the Rams defense right were Qb Rodgers wanted them. This improved run game allowed the Wr's and Qb Rodgers to have a day. The Packers Wr's combined for 318 yrds and 3 Td's. Randall Cobb led the packers in Wr yrds with 5 Rec, 202 yrdsand 2 Td's. Davante Adams had a day also realing in 3 rec on 123 yrds and Td. Rodgers was clean Although got sacked 8 times by the rams d line Rodgers still had a game going 15/27 318 yrds and 3 tds. Although the defnse struggled stoping anything in the air or ground. The Packers defense came up big by forcing 6 turnovers. making young gun singler Jared Goff throw 6 ints. Kevin King, Jaire Alexander, and Blake Martinez all had 1 Int. But the biggest two plays of the game came from 12 yr veteran Tramon Willams who had 2 Ints and a Td. The first one coming in the first halfon 3rd down were he kept eyes on Goff and picked off an throw for six the other way. The second one coming in the final minuets of the forth qrt in the redzone the game clithing int.